Cucumbers are 96% water which is essential to our good health. Let’s face it; most of us don’t drink enough water. So if you’re not going to drink water, why not eat it? That is not difficult to do when cucumbers are such a quick and easy snack. Comprised of mostly water they are low in calories and fat, thus making them a great snack choice if you happen to be trying to lose weight. And the B vitamins in cucumbers will give you a boost of energy without the drop you get from a sugar pick-me-up. I am sure you have seen pictures of women with their hair in a towel, some sort of mud mask on their face and cucumber slices covering their eyes. Funny I know, but there is some truth behind the use of cucumbers as a beauty secret. 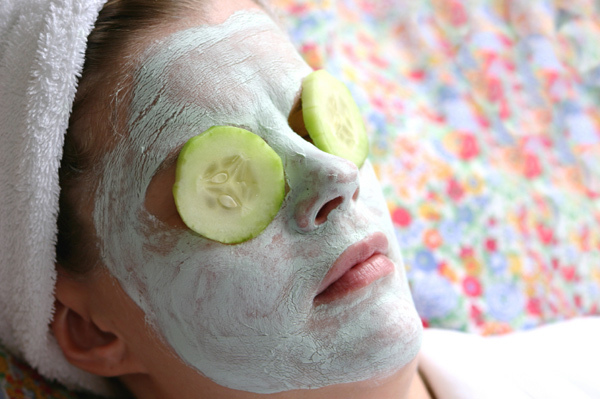 The mask they are wearing may contain cucumber juice which will tighten the skin. There are acids present in the slices of cucumber that will bring down water retention and diminish puffiness and swelling under the eyes. Place a slice on the roof of your mouth and hold it there with your tongue for 30 seconds to kill the bacteria that cause bad breath. The skin of a cucumber can bring relief to sun burned or wind burned skin. Eating cucumbers will keep your nails from splitting and promote healthy hair growth. Drinking cucumber juice will fight inflammation of tooth sockets, thus making our gums healthier and keeping our teeth in our head where they belong! Over indulge a little? Eat a few cucumber slices before going to bed. Your hangover and headache won’t be as bad in the morning. More than just a beauty secret, cucumbers contain nutrients that have been found to lower the risk of several types of cancers, including breast cancer, uterine cancer, ovarian cancer, and prostate cancer. High amounts of potassium, magnesium, and fiber work together to regulate blood pressure. Cucumbers are actually beneficial in treating both high and low blood pressure. Of course, conditions as serious as abnormal blood pressure you should never attempt to treat on your own. Always follow your doctor’s instructions. Do you suffer from indigestion problems such as heartburn, gastritis or ulcers? If yes, drink cucumber juice daily. 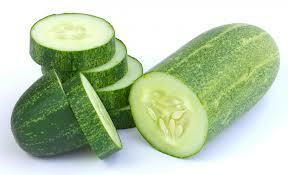 Cucumbers are very effective in driving away toxins from the digestive system. I remember my parents saying to drink pickle juice to settle your stomach. Once when my sister was in the hospital her stomach was unsettled and nothing they gave her helped. My mother took her a jar of pickle juice and it worked. We never understood why it worked. It must be because pickles are simply pickled cucumbers. The high water content acts as a diuretic, eliminating waste from our bodies. Adding cucumbers regularly to our diet will help dissolve bladder and kidney stones. Research has shown the cucumber to be beneficial in treating diabetes. They contain a hormone needed for our body to create insulin. Several nutrients, working together, strengthen connective tissues thus promoting healthy joints. But if your joints leave a little to be desired, try mixing cucumber juice with carrot juice. 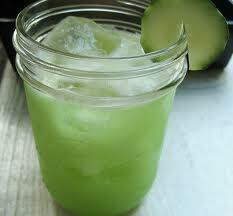 You will have a treatment for arthritis pain, and increase the positive effect cucumbers have on healthy hair growth. I thought since the list of beauty benefits is so long, it might be fun to add a couple of home care hints too. Rub a slice on your bathroom mirror before taking your shower to prevent the mirror from fogging. Rub a slice on the door hinge to keep it from squeaking.